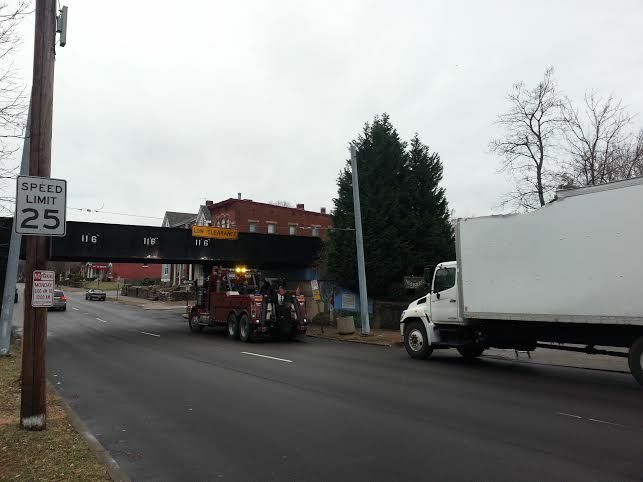 A commercial truck smashed into the bridge on Scott Boulevard at Seventeenth Street on Friday evening. The accident happened at around 4:30 p.m. 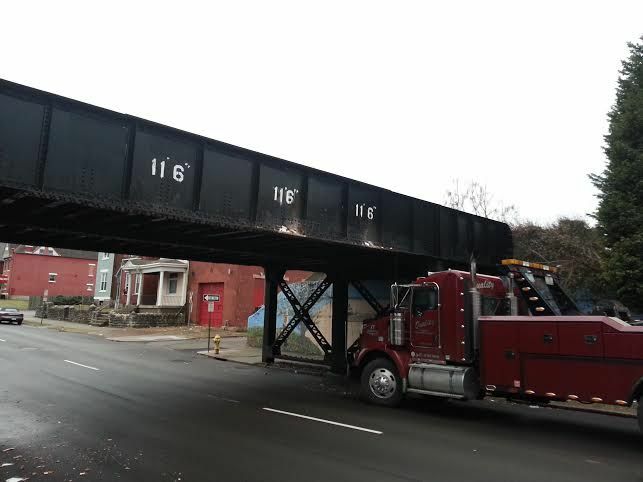 The truck was headed south on Scott when the driver apparently learned the hard way that his vehicle was too tall to fit under the bridge. These photos, provided by reader Chris Meyer, show extensive damage to the top of the truck as well as the impact site on the bridge. The truck was towed from the scene.